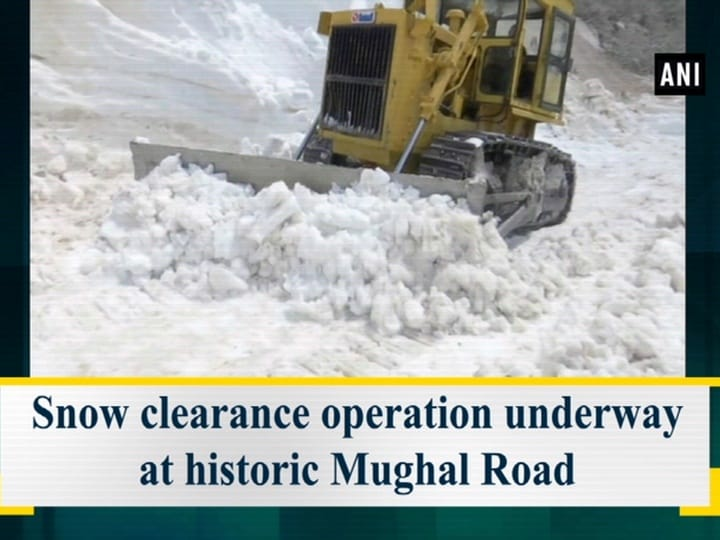 Rajouri (Jammu and Kashmir), Apr 17 (ANI): Snow clearing operations finally paved the way for commuters on Rajouri's Mughal Road on Tuesday. Mughal Road was closed since December. Snow clearance operation restarted with heavy machinery by the help of PWD and mechanical department workers. The local peoples of Rajouri and Poonch district business was affected because of heavy snow in the valley.